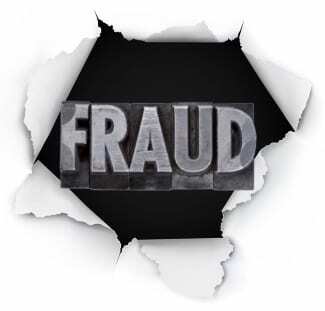 Baltimore, MD – On Tuesday, a federal grand jury indicted Patricia Mulford, 66, and Joseph Mulford, 67, both formerly of Berlin, Maryland; and Maria Denise Gangler, 62, of Essex, Maryland, on charges of conspiracy to commit bankruptcy fraud, bankruptcy fraud, and tax evasion. According to the four-count indictment, from July 2011 through November 2017, the Mulfords and Gangler committed bankruptcy fraud by knowingly and fraudulently concealing their assets from their creditors and trustees in bankruptcy proceedings. The assets concealed by the defendants consisted primarily of proceeds from the sale of approximately $375,000 in foreign real estate, namely their interests in a property at Sueno Escondido Estates in Costa Rica. The defendants converted proceeds from the real estate sale into cash stored in a safe deposit box and bank accounts held in relatives’ names. The Mulfords also reinvested proceeds in a second property in Costa Rica and failed to disclose their ownership of that property. The defendants’ bankruptcy fraud caused their creditors to suffer losses of more than $350,000. The Mulfords are also alleged to have concealed assets from the Internal Revenue Service (IRS) so as to avoid an outstanding tax debt. According to the indictment, beginning in 2009, the Mulfords willfully attempted to evade paying taxes for the calendar year of 2009, and did so by concealing from the IRS gold and silver coins the Mulfords had purchased after liquidating their IRAs. The Mulfords also concealed from the IRS the proceeds of the sale of real estate in Costa Rica. The Mulfords’ bankruptcy fraud allowed them to avoid paying approximately $39,000 then due to the IRS in connection with taxes for 2009. The Mulfords and Gangler face a maximum sentence of five years in prison and fines of up to $250,000 for the conspiracy, bankruptcy fraud, and tax evasion offenses. An initial appearance for the defendants has not yet been scheduled.